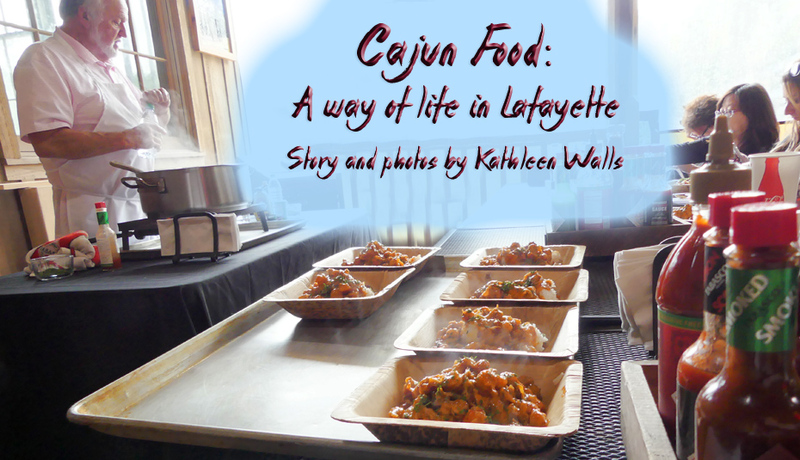 Food is an intricate part of Cajun culture. Café Vermillionville, (circa 1835) was built as an inn for salesmen in Lafayette then named Vermillionville. During a Union occupation during the Civil war supposedly a Cajun shot a Union soldier for making advances at the man's wife. Rumors claim the old building is still haunted by the soldier as well a young female ghost. The building still retains its classic Cajun structure. It's built of 12 inch cypress lumber and has bousillage, a mixture of mud and Spanish moss, in some of the walls. Poncho Veron opened it as a restaurant in 1981. Today his son, Ken, and his wife, Andrea, maintain the tradition. We visited on Halloween. 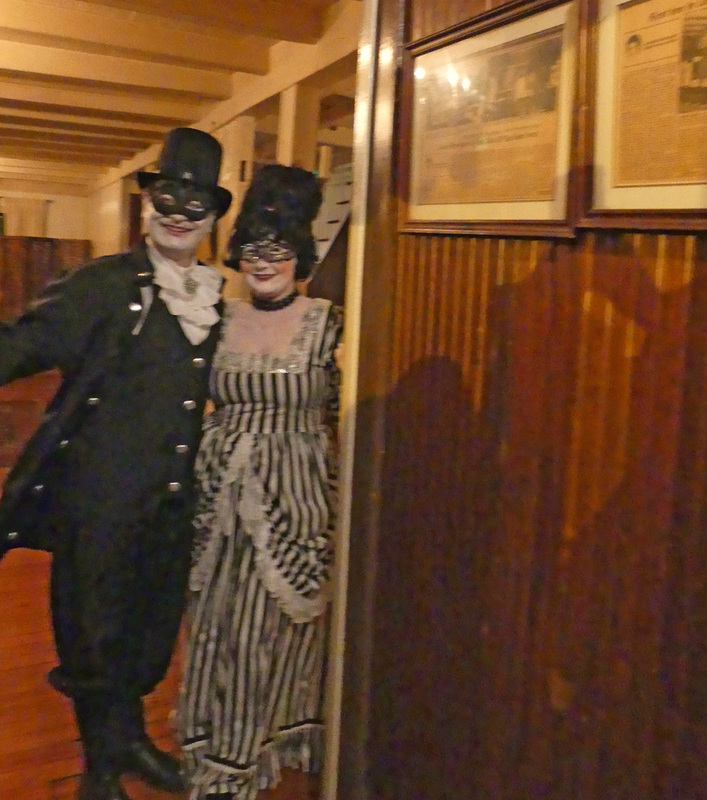 Ken and Andrea welcomed us decked out as vampire versions of the 250 year-old original inn operators. We samples many of the appetizers including the Alligator Dijon, marinated, deep fried alligator tenderloin served with dijon mustard aioli and fried pickles and their Crawfish Beignets. My entrée was Oysters Herbsaint consisting of crispy oysters, herbsaint cream, sautéed spinach, proscuitto, parmesan, served over fettuccine. 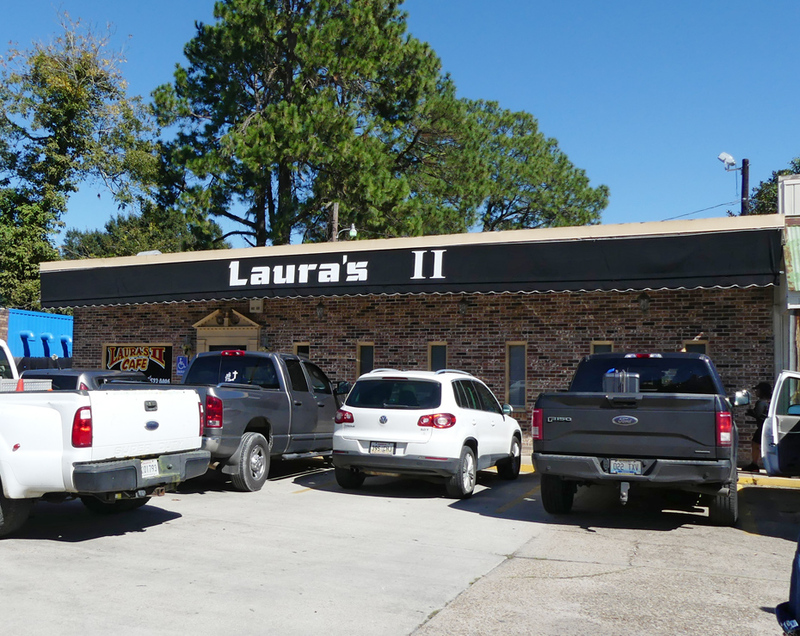 Laura's II is famous for Creole culture. Madonna Brussard follows in her grandmother, Laura Williams Broussard, footsteps and along with her mother, opened Laura's II in 2000. Madonna's mother, Miss Dot, passed away recently but the tradition is unbroken. Madonna was featured on Anthony Bourdain's Show and the Travel Channel. She explained how it all began. 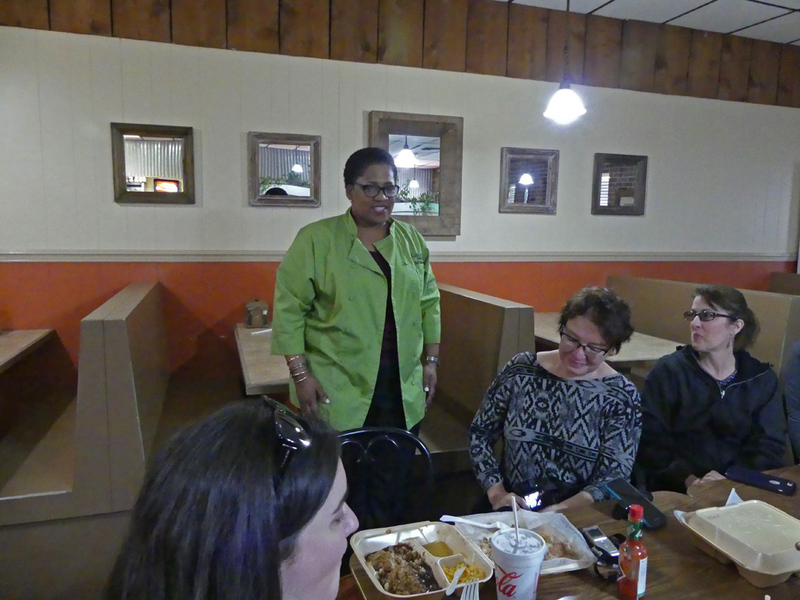 "My grandmother was one of the first to open a soul-food restaurant out of one side of her house in 1968. There was a fire in 1975 and she rebuilt in a trailer. In that little trailer is where we started serving almost everybody. If your parents sent you to school in Lafayette in the 70s, my grandmother was cooking for you. It still feels like my grandma's kitchen. You know, your grandma cooked food on Sunday and you ate. Well, everyday was Sunday for my grandma." At Laura's II everything is plated in Styrofoam boxes. You choose an entrée and two sides at the counter and then pick it up and either take it to go or sit in the restaurant. The two most popular items are the Turkey Wings and the Fried Pork Chops. 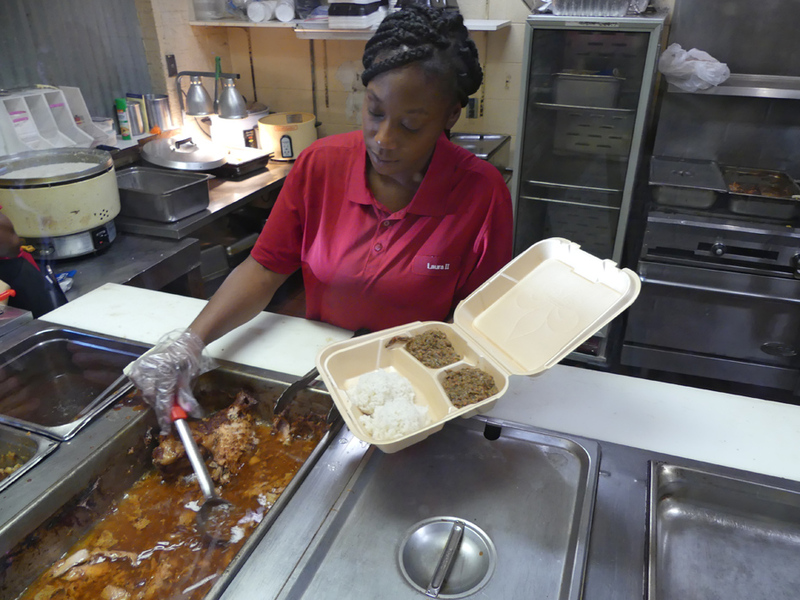 The rice and gravy is a tradition from her grandmother's cooking. Music and food come together at Buck and Johnny's Zydeco Breakfast in Breau Bridge, the Crawfish Capital of the World. It is held every Saturday moring from 8 to 11. 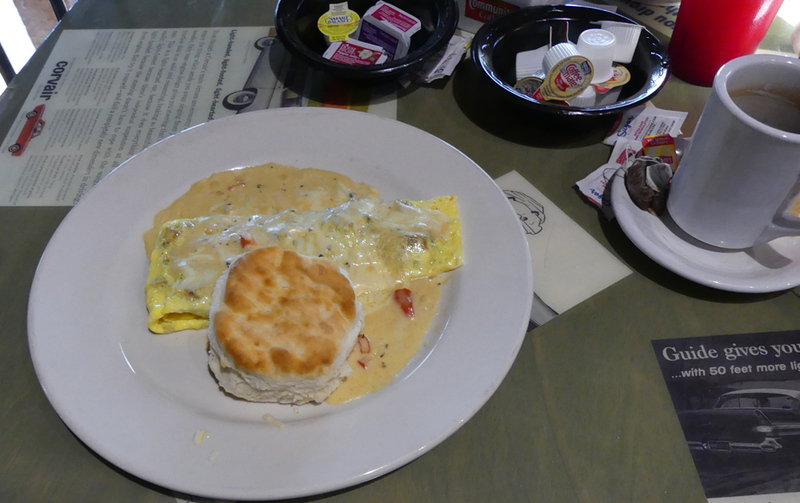 The food names relate to the music and culture with dishes like Don’t Mess with my Tasso, an omelet with grilled onions & tasso topped generously with Atchafalaya cream sauce or All Jacked Up, an omelet stuffed with boudin and topped with pepper jack cheese. 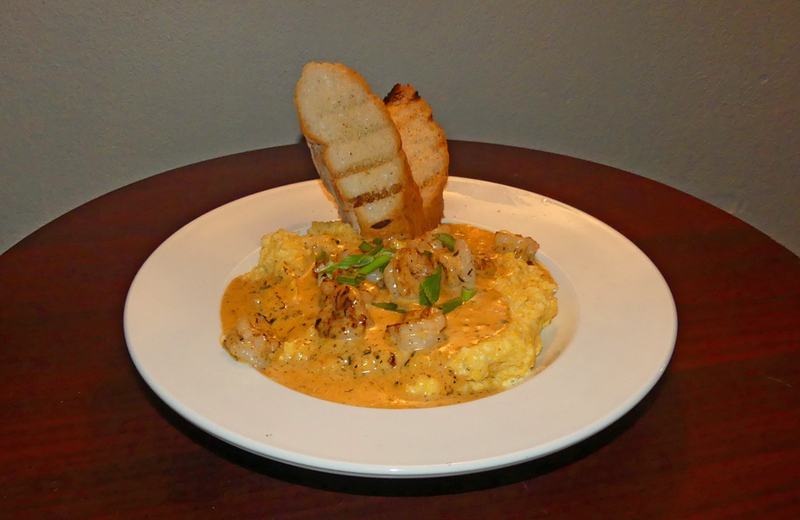 If you are looking for relatively light fare, try Troubled Waters, grits topped with crawfish étouffée. The music on the Saturday we visited was Chubby Carrier and The Bayou Swamp Band. 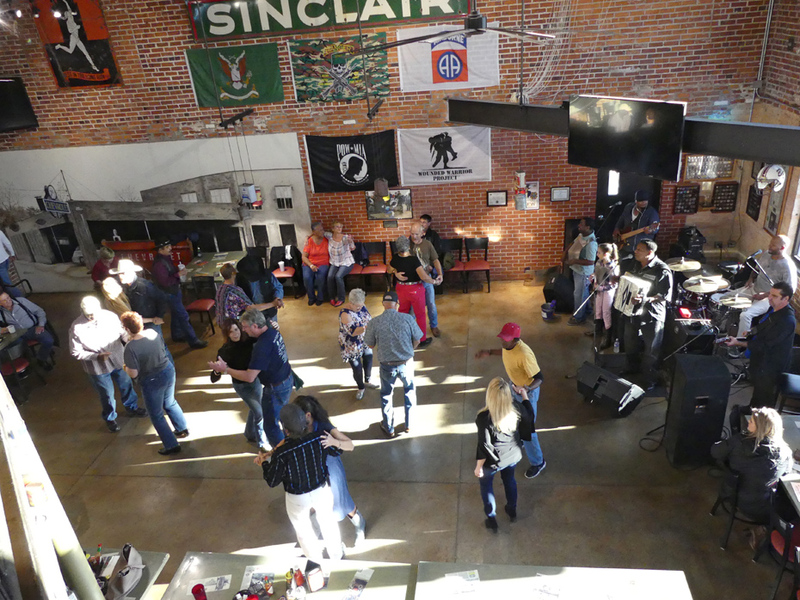 His lively sound gets Cajuns, Creole and visitors two-stepping together. The historic building is the former home of old Domingue’s Motors and the décor is maintained. The original brick walls set off the old tin signage and oil can light fixtures. George Rodrigue's brought Cajun life to the forefront with his art. 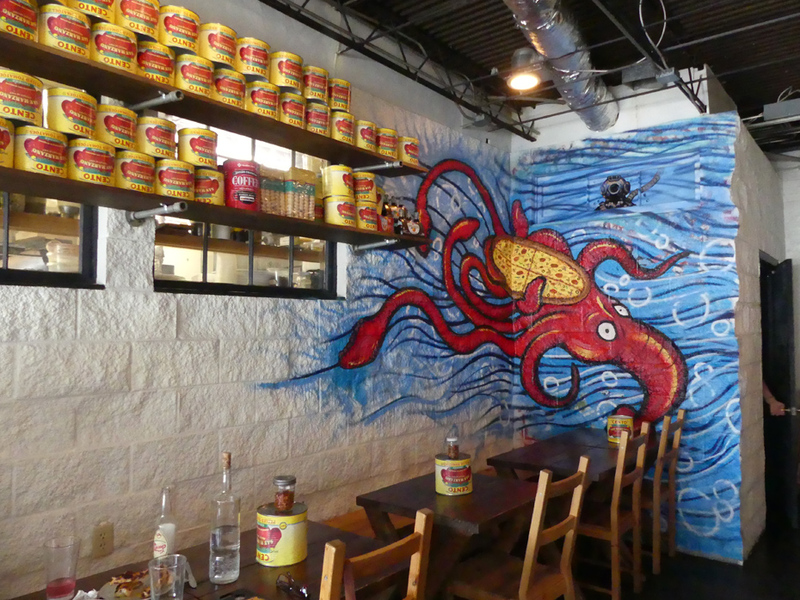 At his son's restaurant, Blue Dog Café, art, food and music merge. 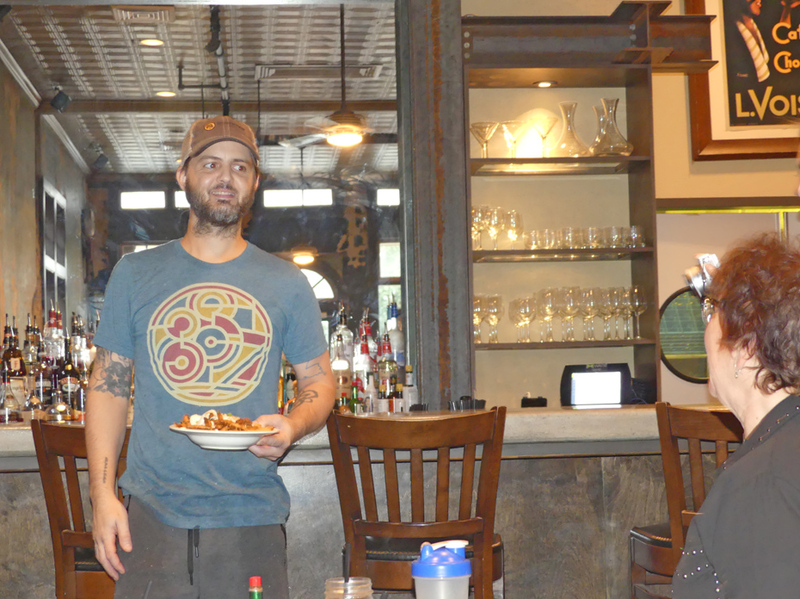 Chef Ryan Trahan's Cajun cuisine won him the title of American Seafood King in nationwide competition this year. He had already proven himself the King of Louisiana Seafood earlier. 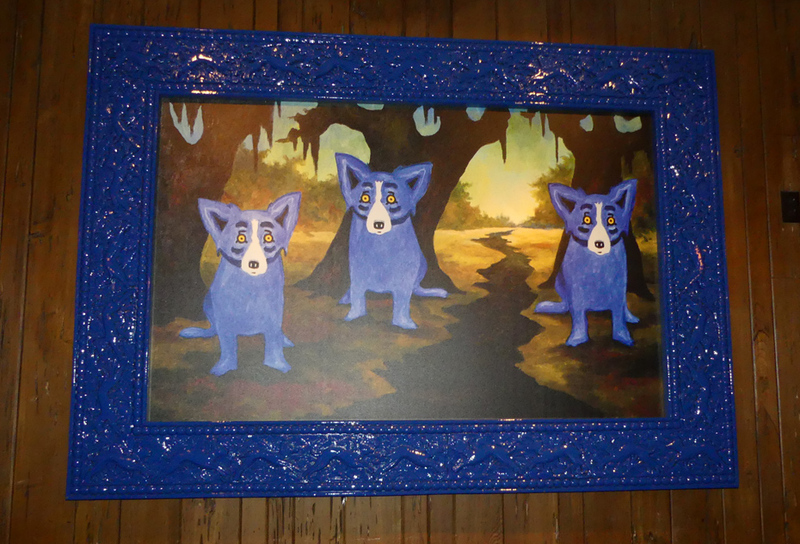 Blue Dog paintings depict a blue dog as the legendary bayou werewolf, Lupe Garau. Besides the Blue Dog art there are paintings by Rodrigue of people. 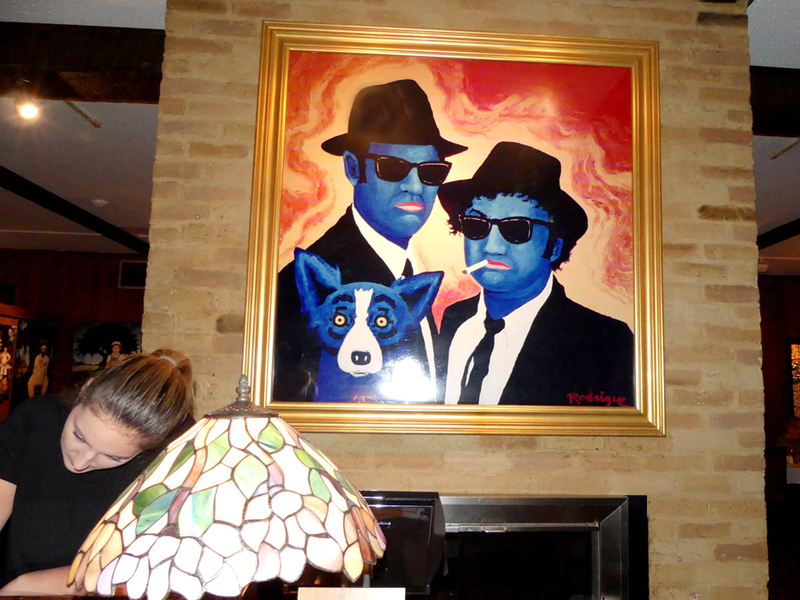 The Blues Brothers with the Blue Dog hangs at the entrance. Paul Prudhomme who made Cajun cuisine famous is there as is an image of Hank Williams who focused nationwide interest in Cajun culture with his 1952 song, Jambalaya. 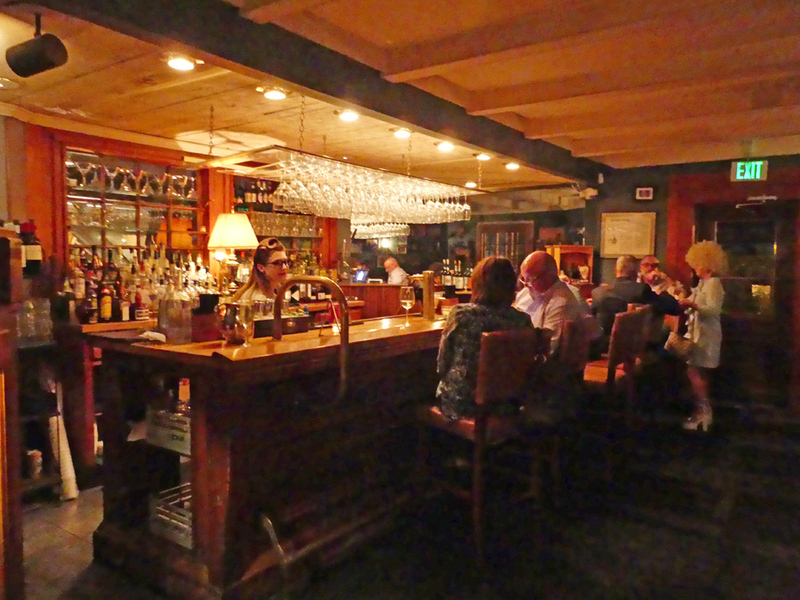 On Thursday through Saturday evenings and Sunday brunch there's a band playing. 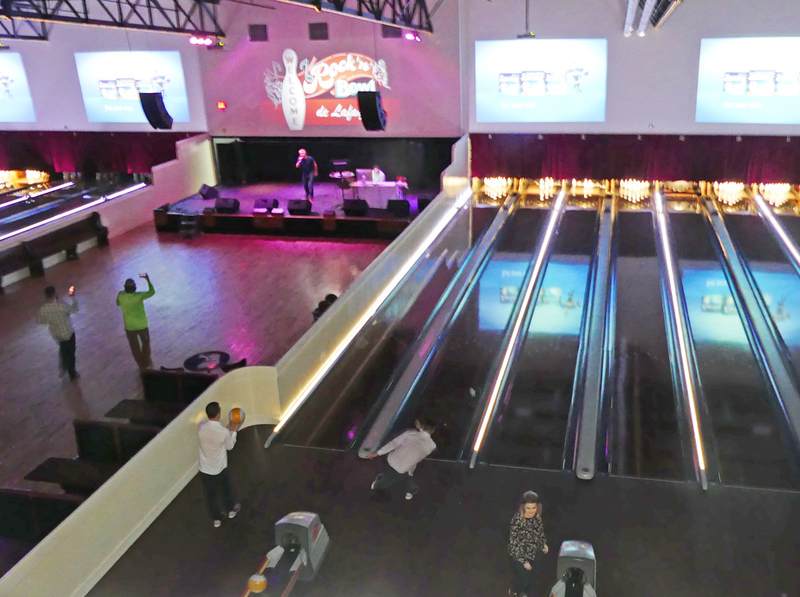 Sante Marie Rock and Bowl is the place to go if you are looking for a unique blend of food, music and even bowling. 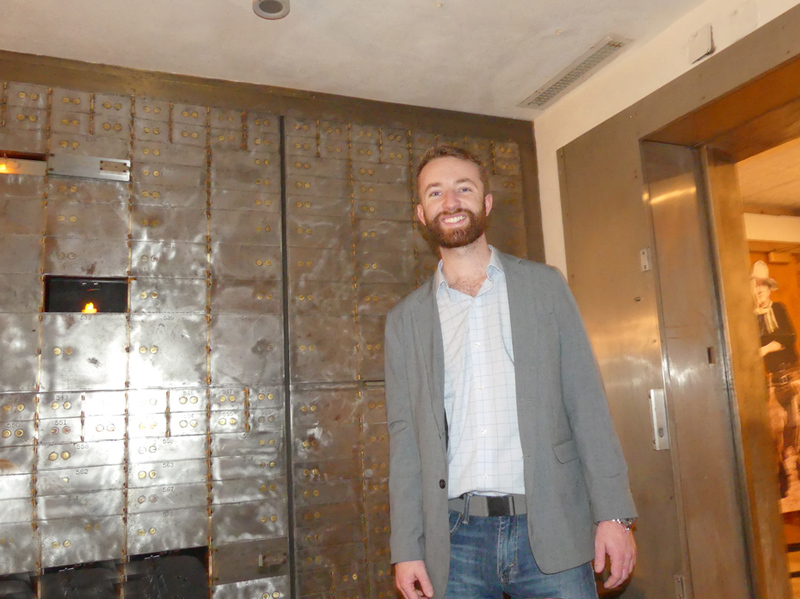 We dined in a converted bank vault. For an appetizer, I suggest the Green Tomato Shrimp Remoulade consisting of fried green tomatoes, grilled & chilled shrimp with a house remoulade. For an entrée their Shrimp and Grits is hard to beat. Rock and Bowl is located in a former Whitney Bank building. Kevin Tassen, the manager, explained how the owners had to evacuate to Lafayette from New Orleans during Katrina and decided it would be a perfect place to open another Rock and Bowl here. After dinner, you can go bowl or listen to music upstairs. As you make your way upstairs note the unusual decor. From John Wayne to the Blessed Virgin statures. After you've tried boudin a few times you may be interested in how it is made. Johnson's Bocaniere is the place to go for that. 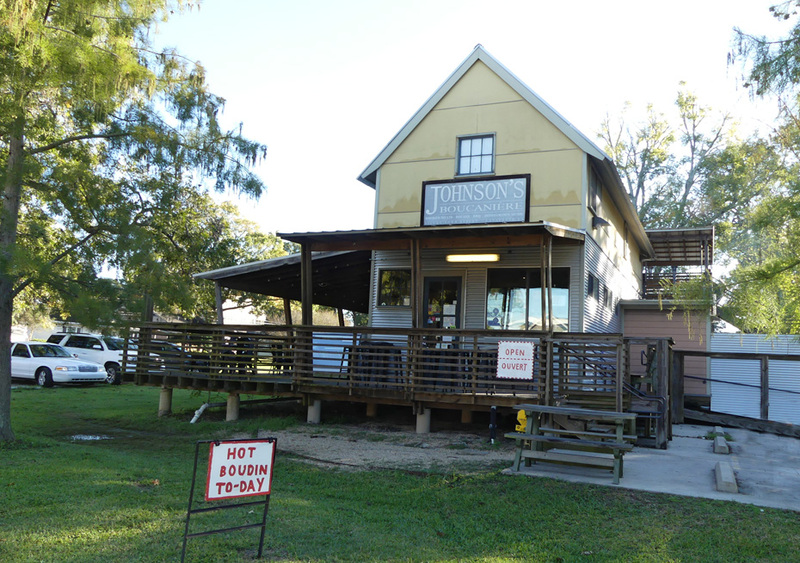 The original store was was a small grocery owned by Mr. Wallace Johnson that opened in 1937 in Eunice, LA. 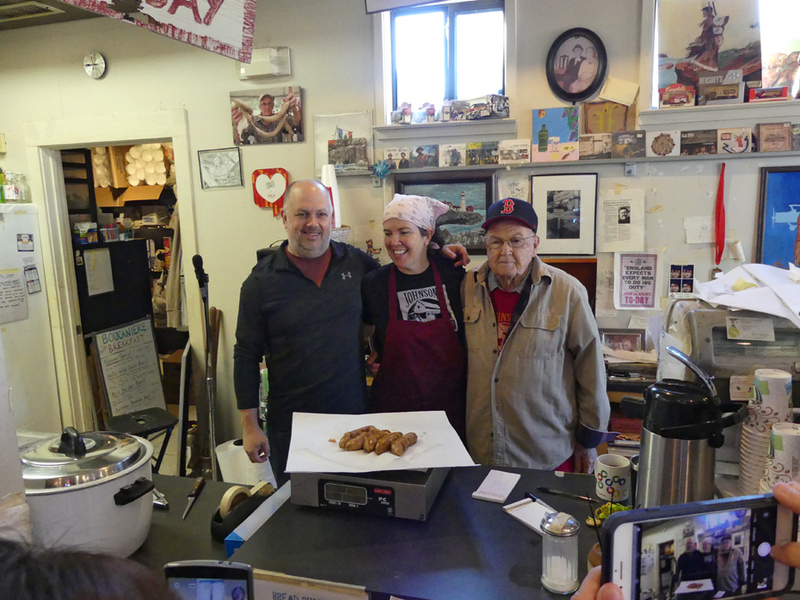 Wallace's wife, Louise, developed their own recipe for boudin that was very popular until they closed in 2005. Mr Wallace's daughter and son-in-law, Lori and Greg Walls, opened Johnson's Bocaniere in Lafayette in 2008. Wallace is still active in the restaurnat. We met the three of them there and sampled some of their breakfasts. Greg told us that they wanted to use the old recipes but couldn't find them until they were removing some of the old machinery from the original store and had to remove a door to get it out. Behind that door, they found a bundle of the old recipes. He explained the name and tradition of bocaniere. "It's a slaughtering of the hog. When there was no refrigeration the entire community would get together and each person would have a station. One would make boudin; one would smoke sausage. They used the whole hog. They would share it among the entire community." 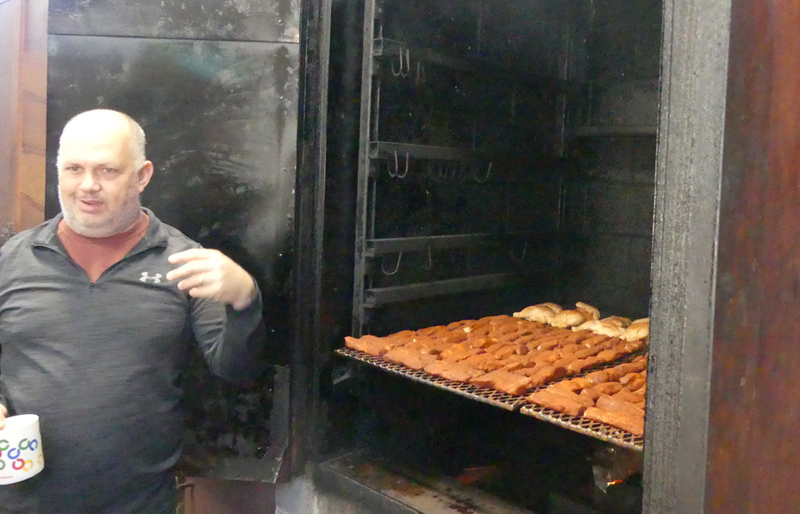 Greg showed us the large smokers behind the restaurant where they smoke their meat. When he opened the doors to give us a peek inside, the smell of smoked chicken and pork was so good you could almost taste it. The restaurant is small with only outdoor tables but it's a great breakfast stop. They have coffee but no tea for breakfast. 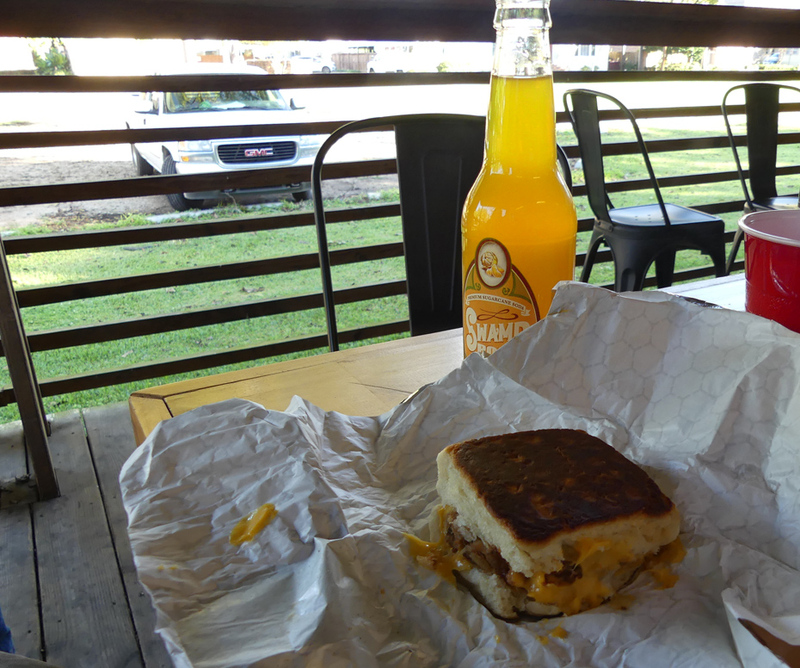 However, they do serve a delicious locally made soft drink called Swamp Pop. French Press was named one of Urban Spoon's "Top Breakfast Restaurants" a few years back. Chef Justin Girouard, who had been nominated for a James Beard award, offers some very creative dishes. There's Sweet Baby Breesus, some buttermilk biscuit sliders with bacon, fried boudin and Steen's Cane Syrup. Yes, there's boudin again. The grits is so creamy and cheesy it will convert any northerner who thinks they don't like grits. 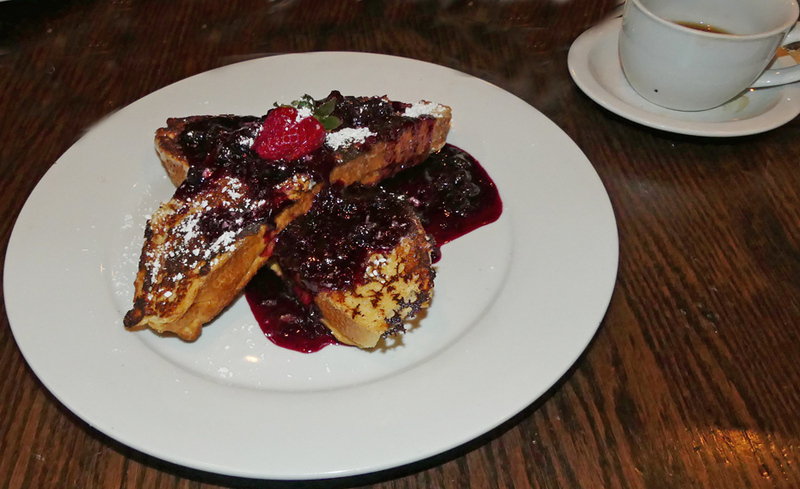 I had the French Toast stuffed with cream cheese and banana and topped with a berry /champagne compote. The décor will transport you to New Orleans French Quarter. Bread and Circus is another place you can get those yummy Swamp Pops. Manny Augello, Executive chef, was a 2018 semifinalist for Best Chef in the South. You get a change from Cajun food here. It's pure Italian. Pizza is king here. Remember many cultures blended to create the Cajun culture. 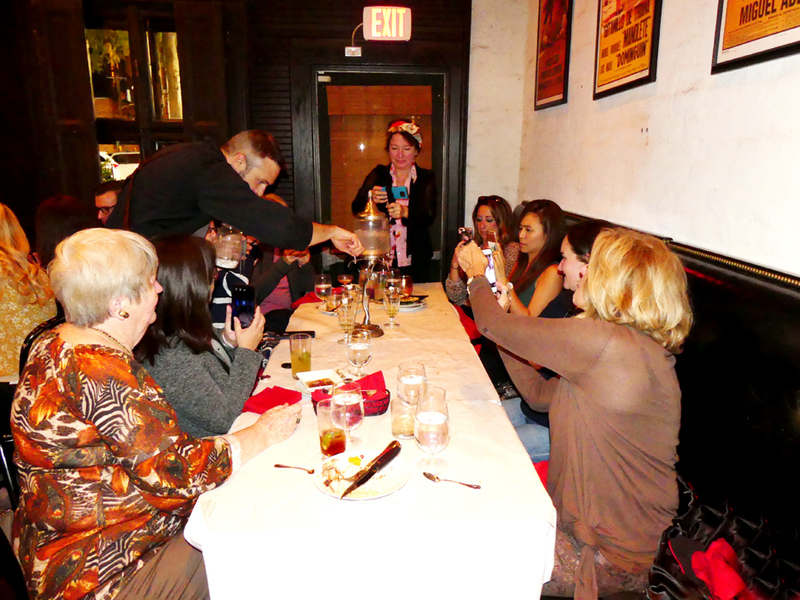 Pampalona Tapas Bar is another diversion from typical Cajun food with it Spanish cuisine. There's still a touch of Cajun in dishes like their Crawfish Croquettes served with smoked Gouda, panko and almond sauce. Their most unusual item is Absinthe. This licorice tasting green drink had been banned for many year because it was believed to be hallucinogenic. 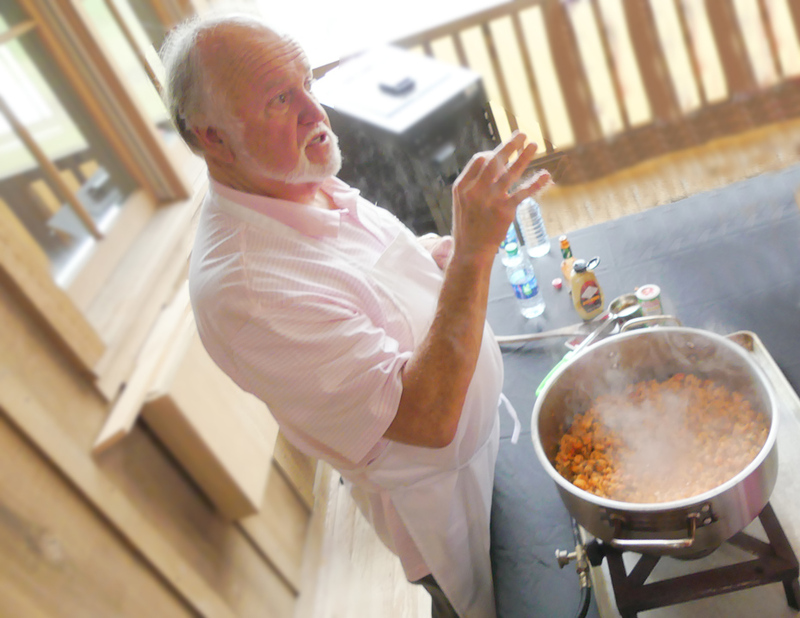 If you fall in love with the Cajun food you can learn to cook it at Tabasco Pepper Sauce Factory tour and cooking class. 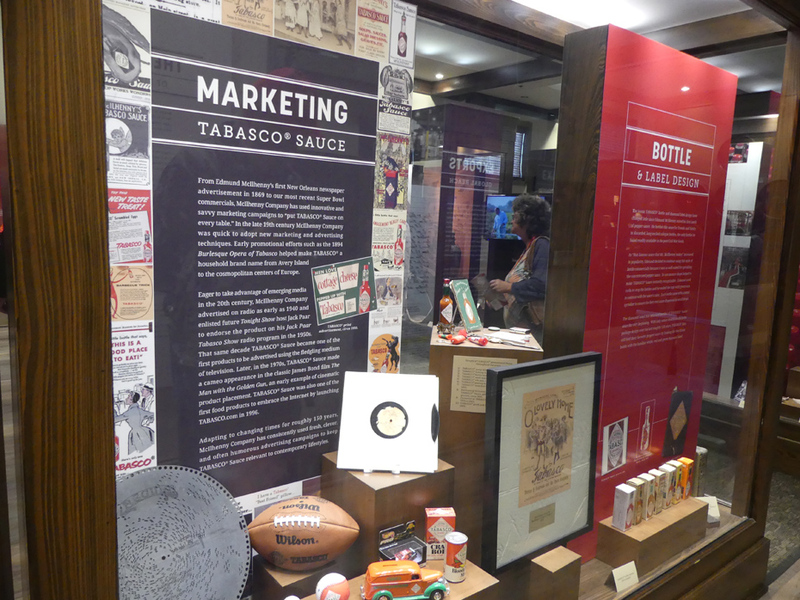 The tour and museum gives you a deeper understanding of how this spicy sauce has become a worldwide table accessory. The tour takes you from the growing plants to the processing plant. After the factory tour, join Chef Lionel Robin in Tabasco's own 1868 restaurant. 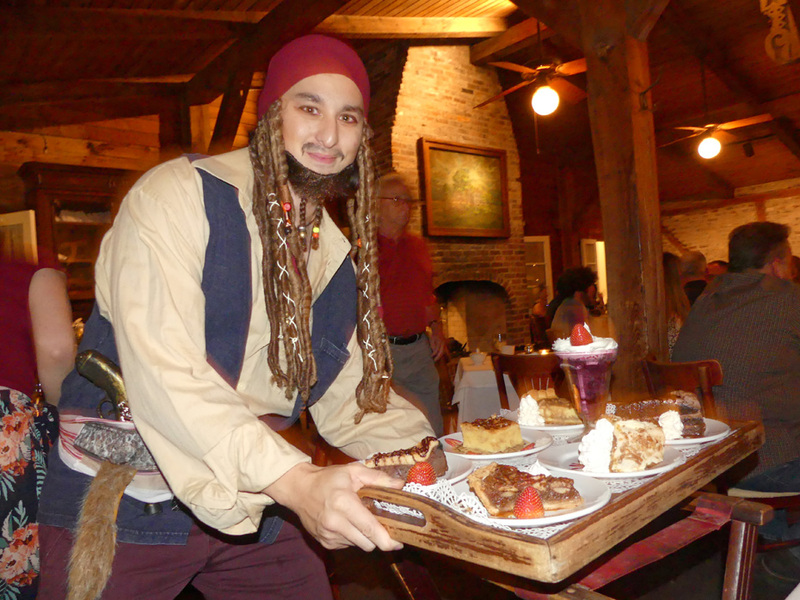 Chef Lionel takes you step by step through preparing several Cajun specials. My favorite was the Crawfish Etouffée . 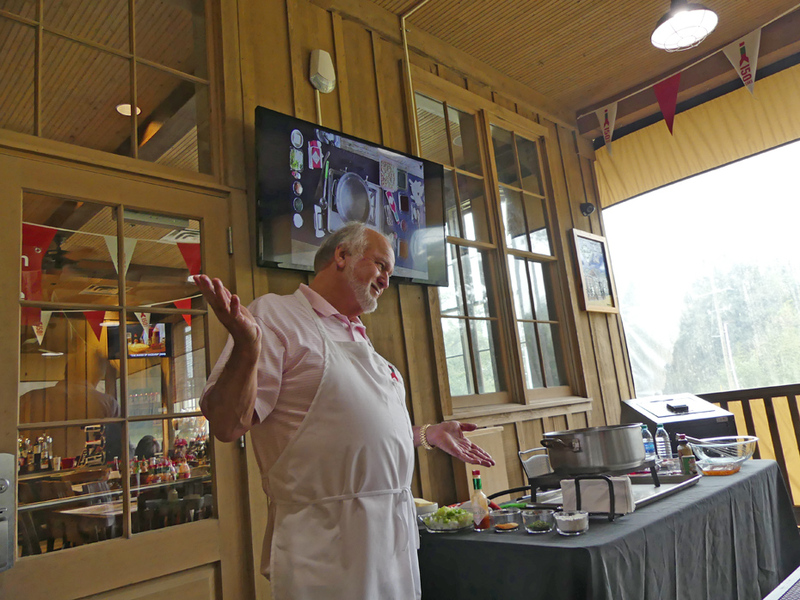 Chef Lionel hands out the recipies for an entire meal, starting with Tabasco Pepper Jelly Vinaigrette, then Chipolte Chicken Wings, Crawfish Ettofee and for dessert, Tabasco Ice Cream. He then related an incident from his first day in cooking school. "The chef said, 'if you want somebody not to succeed give them the recipe then say 'go ahead and do it.' I took that as insult but today, it's a motivation to teach you. When I heard those words, I thought, you giving me the recipe and think I can’t cook it?" What Chef Lionel learned from that, is that the techniques are important. This is what he teaches. The Tabasco Ice Cream is a surprise. The first taste or two are smooth and fruity. Then the Tabasco kicks in and you feel the burn. In the early 20th century Cajun Culture was downplayed. Thankfully resurgence of interest in the food and culture has turned that around. Lafayette Parish is the heart of Cajun Country and proud of it.